You are here: Home > Gardening > Indoor plants > Banana tree, the biggest grass in the world! Banana tree, the biggest grass in the world! Considered to be the largest grass on earth, the banana tree is a very interesting tropical plant that can be grown even in non-tropical areas if a few precautions are taken. What specific care does a banana tree require? How and when should it be planted and watered? Which diseases infect it? Here are the answers to the many questions that can arise when one has the luck of owning a magnificent banana tree at home. 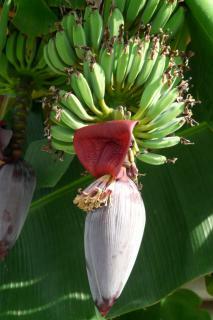 The banana tree requires good soil mix that can be amended with ⅓ compost, if you’ve got any. In order to enhance drainage, pour clay pebbles or small stones into the pot to form a layer at the bottom. This will help ensure that underground culms won’t wallow in water, which could be fatal to them. Set up your banana tree in a fair-sized pot filled with special indoor plant or green plant soil mix. Although it may be necessary to repot it in spring every 2 or 3 years, when not repotting then go for regular topdressing which should also perfectly answer the growth medium needs of the plant. Indoors, avoid direct sun because this would dry the leaves up too fast. Starting from mid-May, you can bring your banana tree outdoors and leave it there until the end of summer. Just as might be done in pots, feel free to place a bed of gravel, small stones or clay pebbles to ensure proper drainage. Atop this layer, you’ll be using a blend of soil mix, garden soil and sand. Generally speaking, the banana tree can’t cope with the winter cold, it tends to lose its leaves when temperatures drop below 35°F (2°C), and it will need to be protected in winter. However the airborne parts fare, it should grow back in the following spring because its root system is much more hardy and can survive down to -2° F (-19°C). Tropical banana trees will die if temperatures drop below 50°F (10°C), and they can only be grown in greenhouses. The ideal setting faces towards the equator, along a wall that shelters it from wind. Under our climates, banana adapts well to living indoors in our apartments and homes. It grows best when surrounding temperatures hold around 65 to 72°F (18 to 22°C) and requires very good light, but not direct sunlight. Behind a window, best avoid too much direct exposure to the sun which might dry your banana tree up. Best place it near a window facing to the West so that it would still have a good deal of light. If you live in a house that is quite dark, avoid purchasing a banana tree because it won’t cope well with the lack of luminosity. Indoors, it is important to mist water on the leaves regularly to recreate its natural living conditions which are rather moist. For strong growth and magnificent leafage, you can add leaf plant fertilizer. This is usually the time of the year when the banana tree grows most. For potted banana trees, water regularly while letting the soil mix dry at the surface before watering again. When outdoors, watering must be regular but limited, in order to not suffocate the plant’s roots. You might say that watering every 2 or 3 days is often needed, especially when the heat rises. More or less every two weeks, you can offer it some liquid fertilizer, taking great care to moisten the soil mix beforehand. Start reducing the watering because the plant’s water needs begin to decrease. Only when the soil is dry down to the first inch or so (a couple centimeters), water to moisten the entire soil mix clump again. Finally, this season is also the one to stop adding fertilizer, from October all the way to March and April. Why don’t bananas appear on my banana tree? In Europe and in temperate climates, the weather makes it tough for bananas to develop, it’s simply not warm enough. For Europe, bananas mainly come from 4 parts of the world: Guadeloupe, Martinique, the Canary Islands and Madeira. As for the rest of the world, production mostly comes from India, Brazil, and South American countries. Daylight and Nighttime of more or less equal length. High relative moisture in the air. 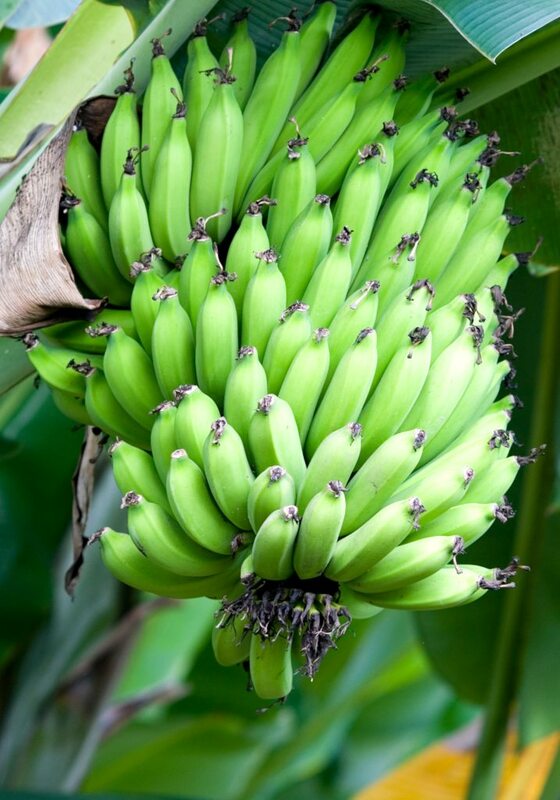 The banana tree isn’t a tree, it’s actually a type of herbaceous plant because it doesn’t have any trunk. It is said to be the biggest grass in the world! Although subtropical banana varieties can grow in our climates, tropical banana trees are prone to freezing and can thus only be grown in greenhouses, winter gardens and indoors. Both appealing to the eye and very easy to grow, it is among the most liked indoor plants for houses and apartments. Its foliage is particularly elegant and brings a touch of exotic life to a living room, dining area, or any other room of the house that is well-lit. 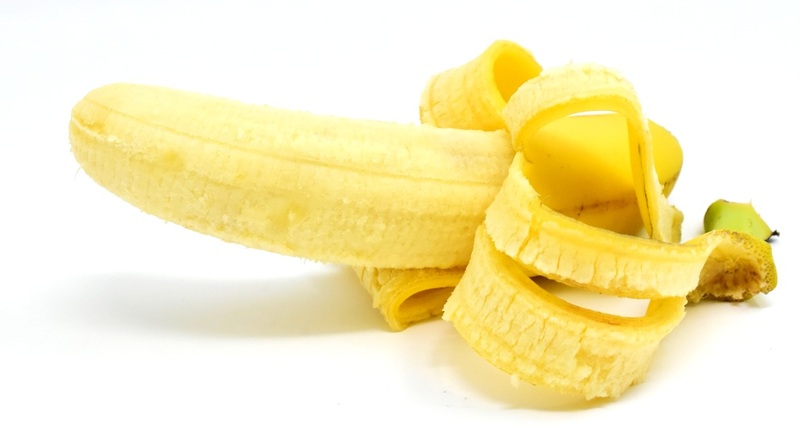 Banana is a fruit with a high calorie count which makes it very interesting for athletes. It has high sugar contents like starch and carbohydrates. If well cared for, your banana tree will resist diseases and parasites well. But if you discover something unusual, feel free to ask a question on our forum to quickly get an answer. Read also: Did you know that plants cleanse indoor air from pollutants?